Welcome to Single Parent Travel! Single Parent Travel is your single parent resource when it comes to travel and for parenting in general. We know that being a single parent isn’t easy and we hope to make it a bit easier. Please check out our wonderful group trips–from the weekend getaways to the far reaches of the globe, we have something for you. Please read our blog and take the time to comment and share your opinions. To learn a bit more about us, just mouse over to the “About” page and check out our philosophy, history and the people behind the program! If you are looking for some resources, please check out our library of articles for some great information, our ever growing download library, and our links. Just a note about our links…these are not paid links. Each of these sites has been checked out we feel that they have a valuable service or product to offer–please check them out! If you have any questions, our phones are always open and we are just an email away. Again, thanks for stopping by and I look forward to getting to know you! PS. The photo? 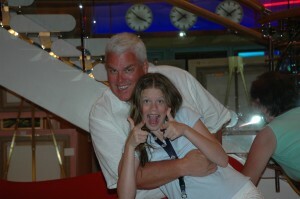 That is me (John) and my middle kid (Victoria) on the Freedom of the Seas! 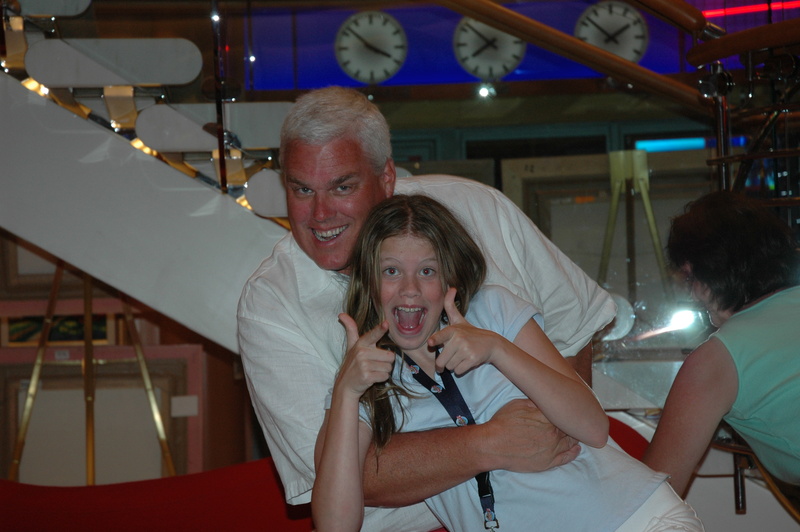 1 Comment on "Welcome To Single Parent Travel"
Have not heard from you in awhile. Are you planning the trip in Aug. (14th -21) to Truks and Cacios? Any chance in planning a single parent trip to Orlando in AUG?